Creating an ‘undetectable’ hair transplant requires several key steps on the part of the hair transplant surgeon and his surgical technicians. 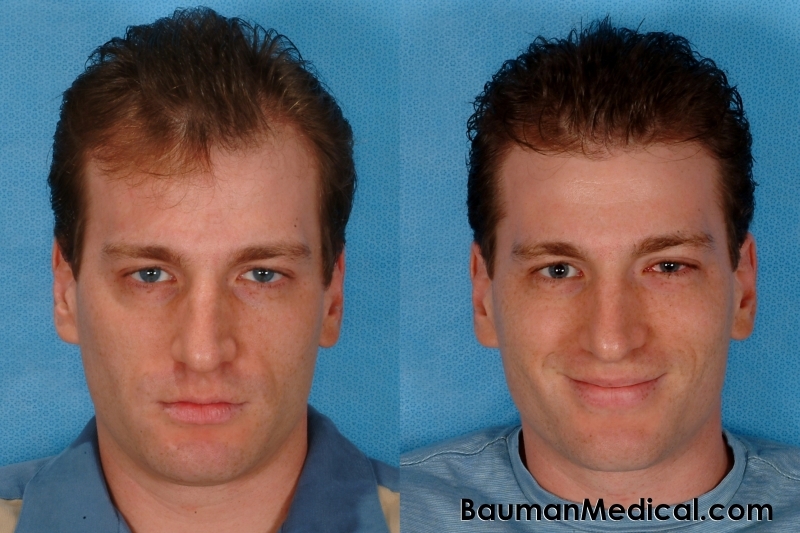 In order to create a hair restoration result that defies detection, the surgeon must ‘mimic’ mother nature using an artistic approach. He must mimic natural hairline shapes (temporal points, lateral humps, widow’s peaks/tufts, wavy and feathery hairlines, etc.) 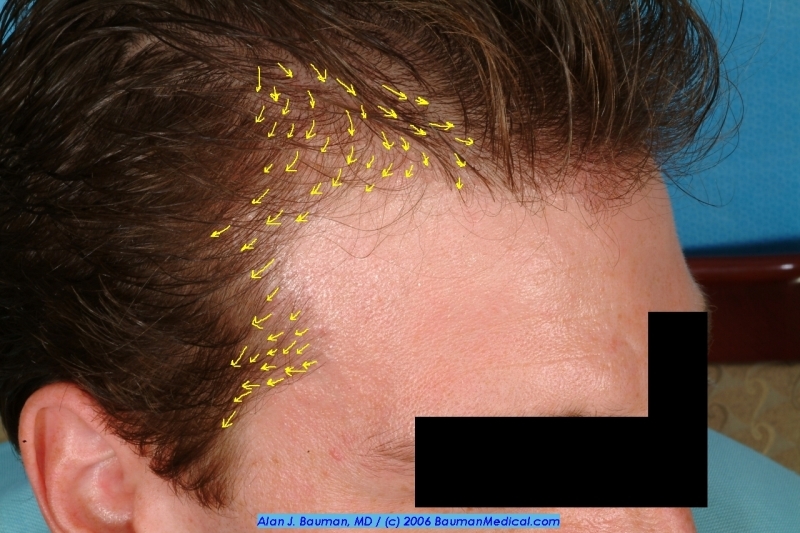 and tailor the shape and contour of the hairline to each individual patient’s face, age and desired result. 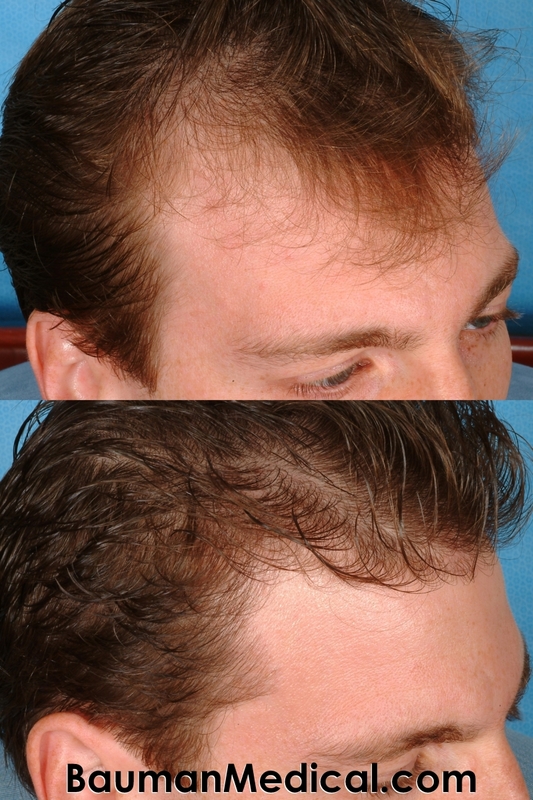 The surgeon and his staff MUST use very ting grafts (containing ‘follicular-units’ of one, two or three hairs each) in order to achieve a natrual result. Special care must be taken to the orientation, angulation and position of each graft in order to produce a result that looks natural.One of the most important areas commonly ignored by surgeons is the temporal point. The temporal point is the triangular portion of the hairline or ‘frame of the face’ that is directly in front of the ears. 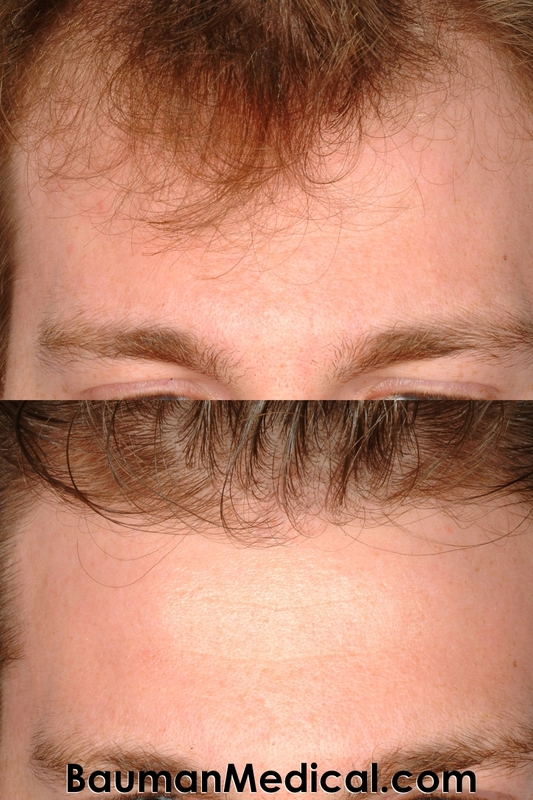 In youth, the male temporal point curves around the eye-socket and blends into the sideburn area. 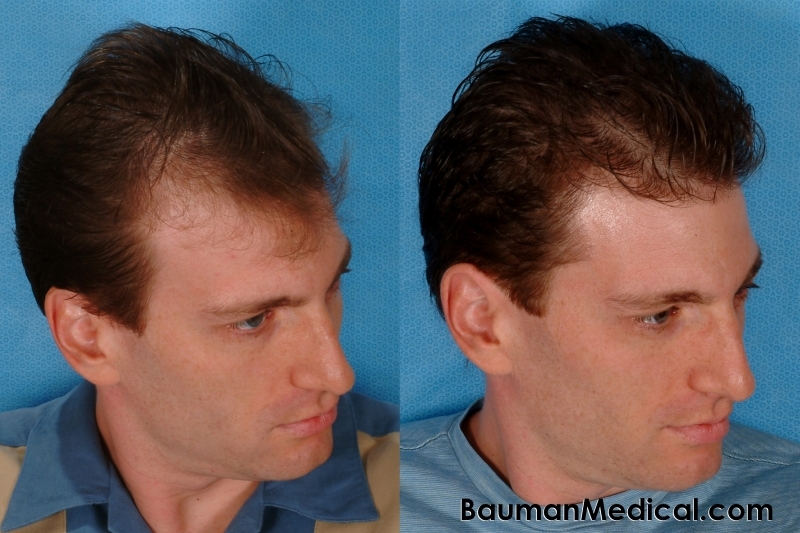 Hair transplants that are performed without addressing the loss of a temporal point look unnatural–almost like the patient is wearing a hairpiece. 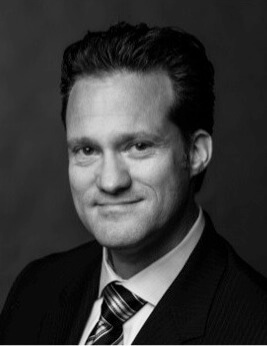 A correctly-restored temporal point typically does not require a large amount of grafts, but can have a HUGE impact on the youthfulness and aesthetic outcome of the procedure.